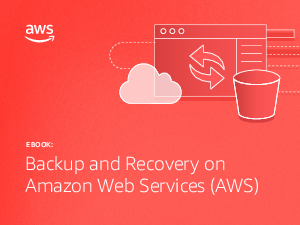 This eBook will take you through the benefits of using APN Partner solutions and AWS storage services to create an efficient, reliable, and secure backup and recovery solution that can grow with your business. It also explores how organizations can pay for storage per gigabyte and only for what they use. Also included is information on how customers are leveraging object storage services on Amazon Web Services (AWS) like Amazon Simple Storage Service (Amazon S3) and Amazon Glacier. Download this eBook to learn how customers like Oath, IDT, and King County are deploying backup and recovery solutions with our featured APN partners.